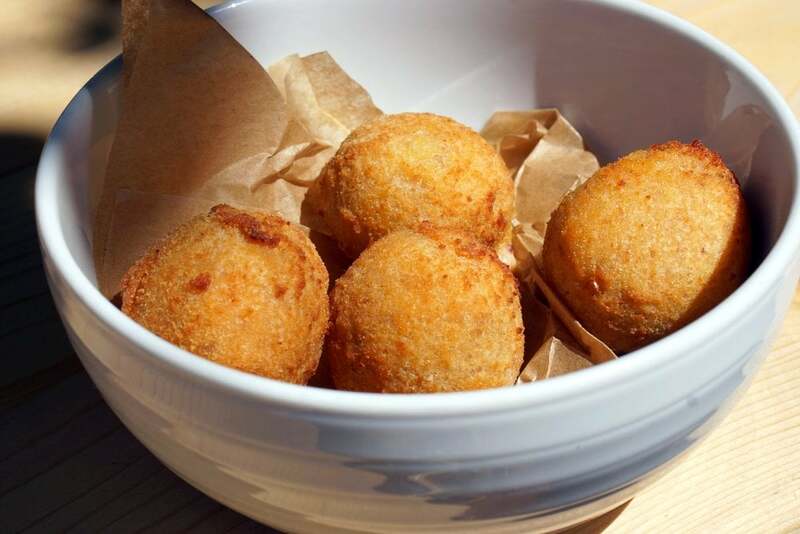 Spain is a delicious place to live– literally every corner of the country produces something special and many regions compete for the title of “best”. 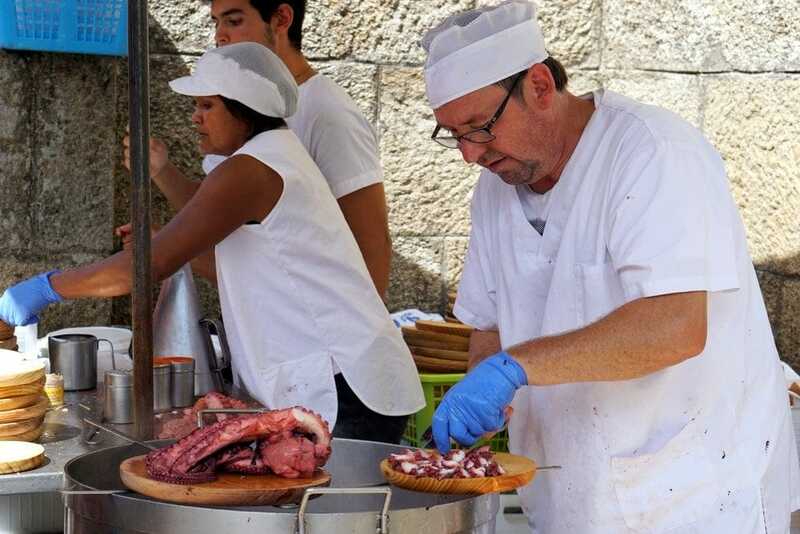 While I’ve explored a lot of my adopted country, it wasn’t until this past summer that I got to experience the incredible hospitality and gastronomy of the region of Galicia— a must for foodies visiting Spain. 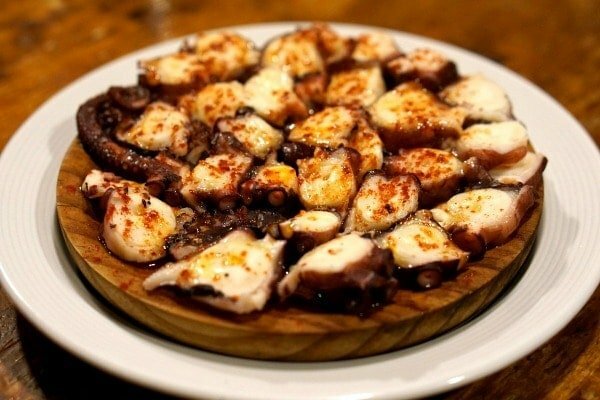 When we decided to take an eight-day road trip to Galicia last August, we knew we would be eating well. 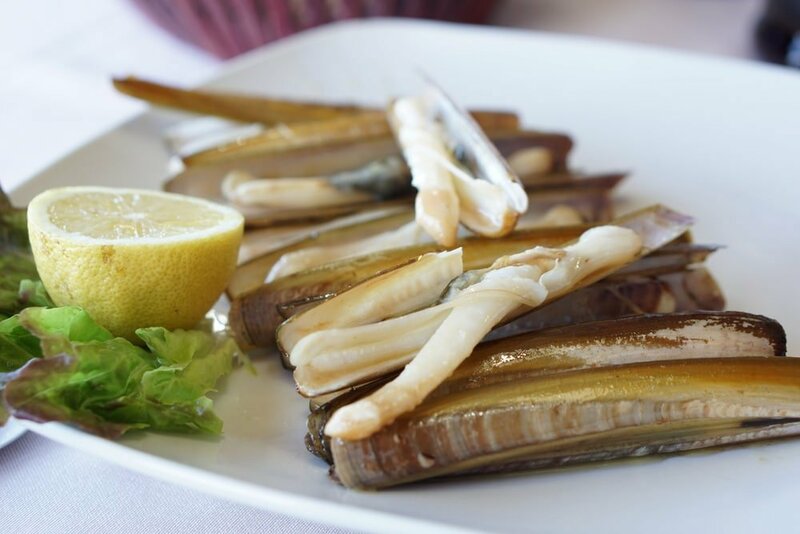 The northwest corner of Spain is known for its wines, cheeses, grass-fed beef and, above all, some of the freshest (and, in my opinion, the best) seafood in Spain. While eight nights seemed like a good amount to dive into the local culture, it really wasn’t enough time at all (and I’ve already been back– twice!). But our Galicia road trip was enough time to get a great introduction to the region’s beauty, wine, and food. 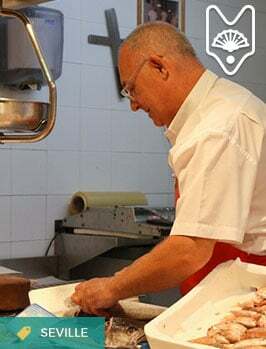 We look forward to coming back again and again over the years to come and to introducing people to this beautiful region through our Devour Galicia Tours. We started our adventure in sweltering Madrid and drove our rental car straight to Pozos, León— a very special place for us these days and one where we have good friends and fellow tour operators, Laura and Esmeraldo. 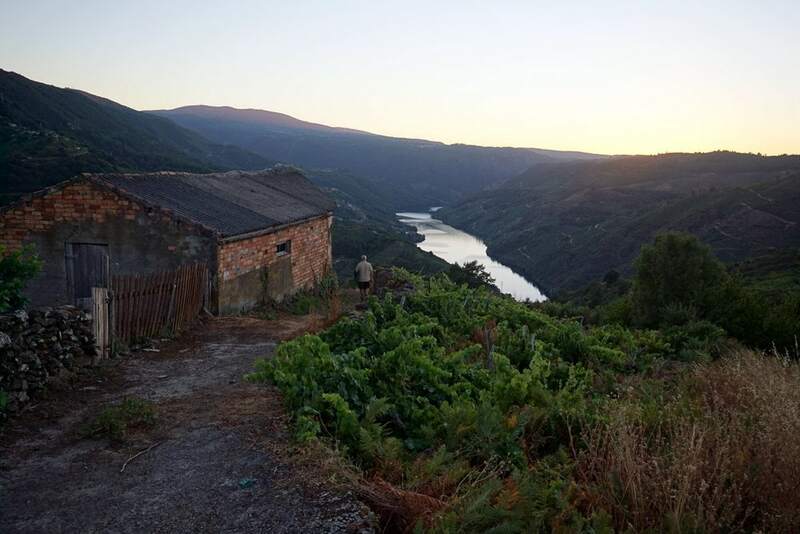 After a couple days cooking with Esme and enjoying the peace of village life, we drove onwards to the Ribeira Sacra region of Galicia. If you’d like to do a similar route you can either spend the night in León (highly recommended– especially with Esme Tours!) 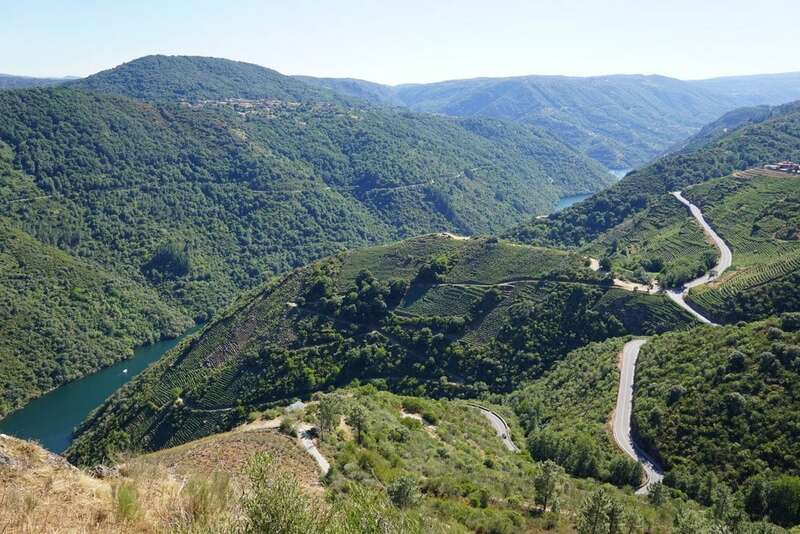 or drive straight into Galicia (about a five to six-hour drive direct from Madrid). We drove through gorgeous mountains on our way from Castilla y León to Galicia, passing by countless slate factories and slate mines. This region was once home to lucrative gold mines too, and has a truly off-the-beaten-path feel to it– very isolated. We wouldn’t recommend this route in bad weather or at night, as there are lots of sharp twists and turns (though the roads were great). 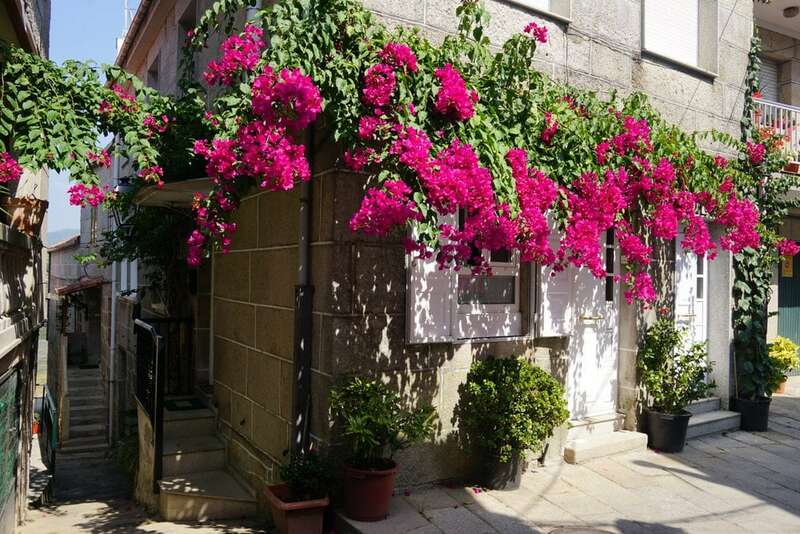 In Ribeira Sacra we stayed in the tiny town of A Teixera at Hotel Casa Grande do Cristosende. It was a lovely rural hotel with a fantastic outdoor space with views of the Rio Sil. However, for our next trip we’d like to try the Parador de Sant Estevo, which looks incredible, and is a great deal for a Parador! The view outside of Hotel Cristosende! Our first night we relaxed in A Teixera after the drive. The hotel has a simple restaurant which did the trick for the night. We wandered the tiny town and some of the paths through the vineyards. The next day we signed up for a tour of the Rio Sil by boat, and opted for a small boat operated by the excellent Bodega Algueria instead of one of the large catamarans. We spent about an hour and a half with a lovely guide and only five other passengers. During the boat trip we stopped to taste one of the bodega’s wines. The view from our riverboat. Next, we drove about 15 minutes to the bodega itself, where owner Fernando met us. It was an emotional time for the winemaker, as only a few days prior the area received a freak hailstorm that wiped out the majority of the year’s crop. While we were waiting for the tour to start, Fernando received a phone call from a fellow winemaker, offering to sell him thousands of tons of grapes so that he could still produce enough wine for the year. I don’t know if he accepted the offer or not, but it was clear proof of the strong sense of family that this newer wine region holds dear. Fernando’s winery tour didn’t go into wine making itself, something Fernando deemed “too boring”. He got right to the good stuff– tasting. All together we tasted nine of Fernando’s excellent wines. 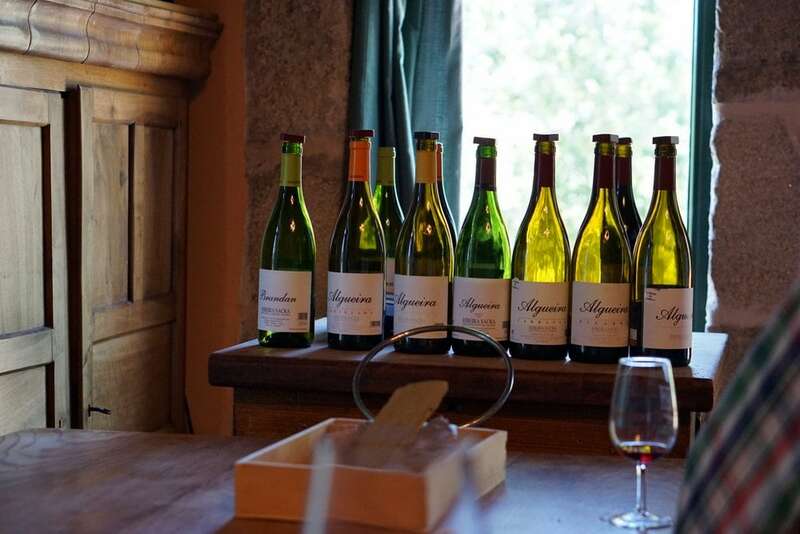 The tasting pours were almost too small– but after nine of them you understand why! 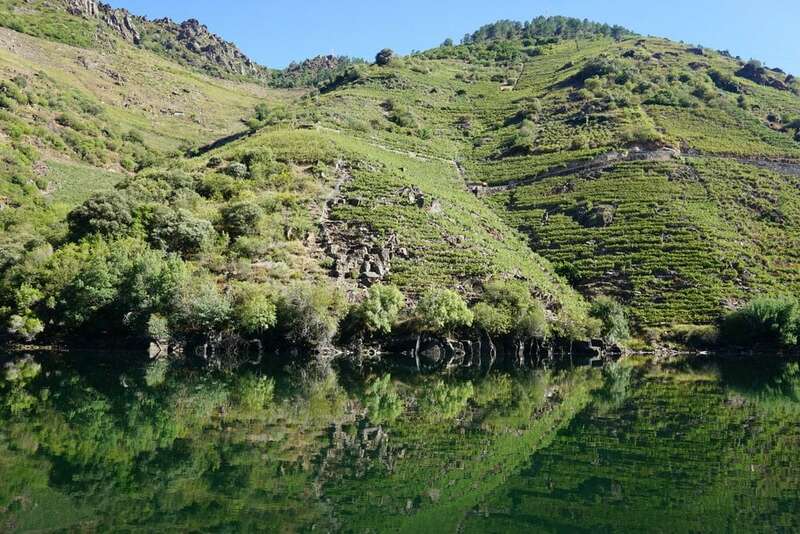 As we tried each wine, we learned about the region and what makes Ribeira Sacra such an excellent place to make wine. After tasting, our visit included lunch at the bodega’s restaurant— washed down with a bottle of wine, of course! Fernando’s wines– works of art! 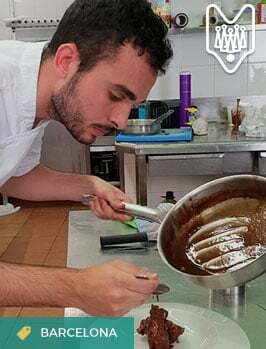 On the way back we stopped in the quaint town of Castro Candela to have a slice of “bica” the local Galician cake made with clarified local butter (it’s light and spongy– great with coffee). 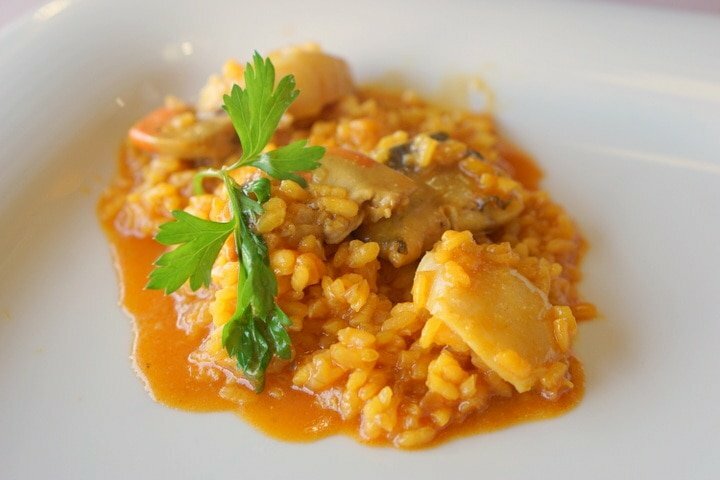 The next day we drove straight to Vigo for lunch– we’d read about the famous lobster rice (arroz con bogavante) from the area and had a couple of tips on where to try it. Casa Nisio was fully booked (but is at the top of my list for next time) so we went to Los Pinales, which ended up being a great choice. We decided to try the rice with scallops and hake cheeks (cocochas) instead of the lobster, as it was something new for us and their house specialty. The rice was delicious– one of the best rice dishes I’ve ever had. We opted to stay about 20 minutes outside of Vigo in the Hotel Rural Os Areeiros. The property is a small family-run manor house with gorgeous vineyards and a refreshing pool. In retrospect we may have preferred to stay in Vigo here, since we were mainly back at the hotel in the evenings. But if looking for a place to escape and relax, Os Areeiros is lovely. 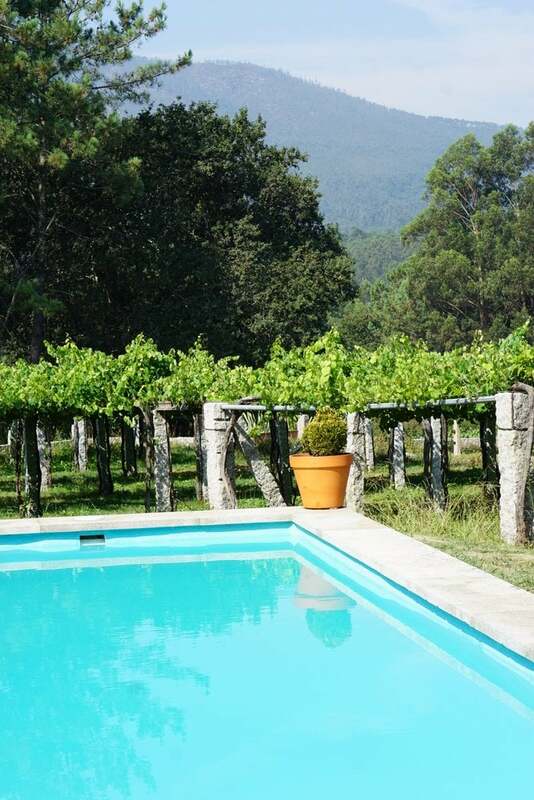 The gorgeous pool at Os Areeiros with views of the family vineyards. 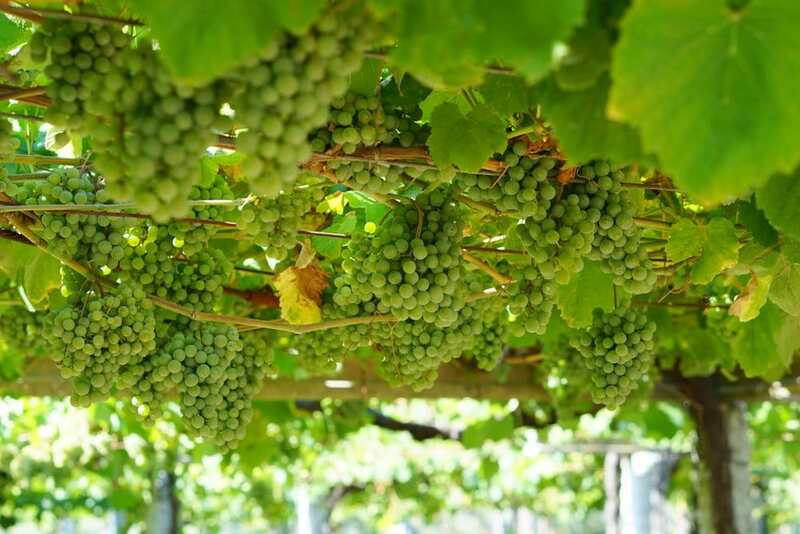 The incredible vineyards with albariño grapes. 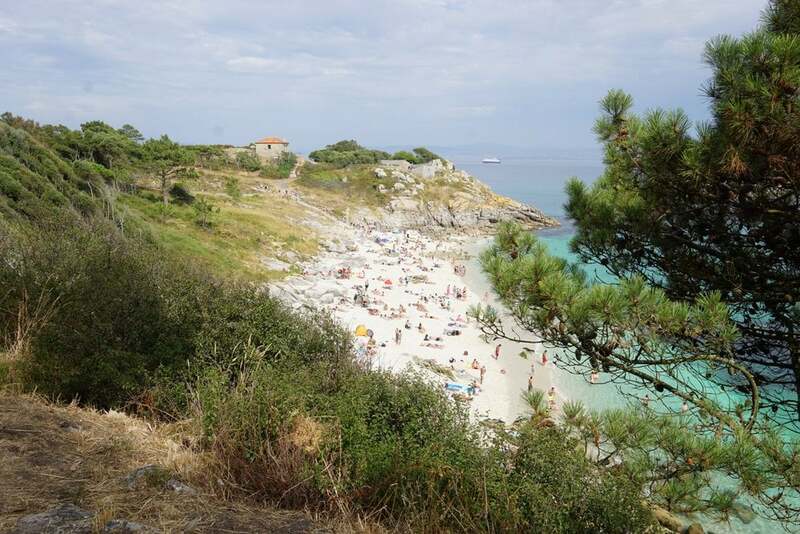 If you have any doubt about visiting the Islas Cies, just go. I never expected these Galician Islands to live up to their reputation as the Spanish Caribbean– but they do. 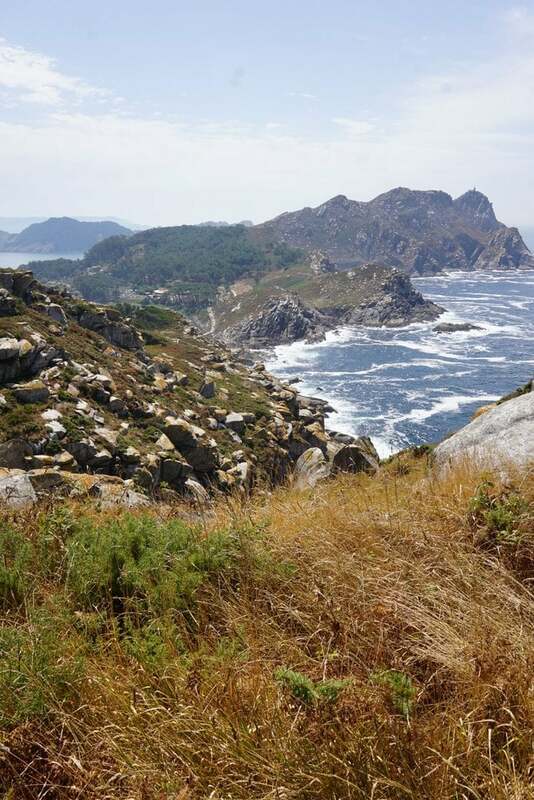 A short boat ride from Vigo or Cangas, the Cies are amazing for a day filled with hiking, swimming, and relaxing. 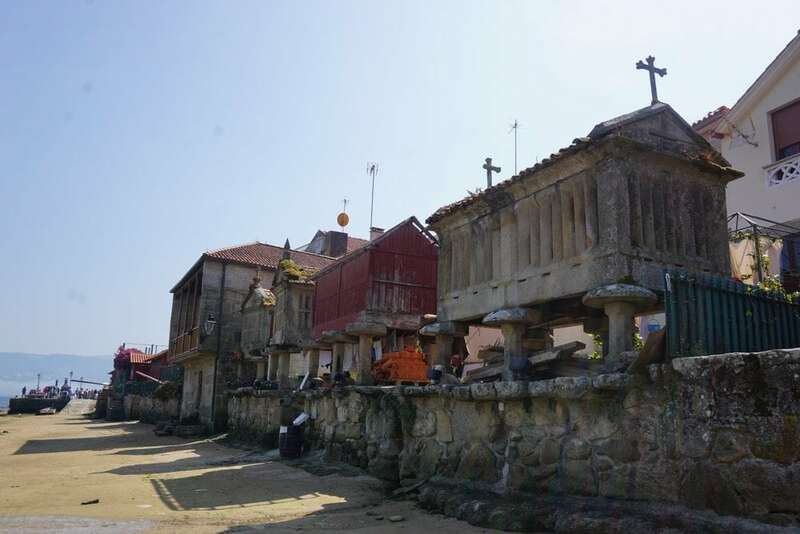 The Rias Baixas area is filled with too many quaint towns to count. It was really hard to choose where to stay here, especially since my first choices were already booked. In the end we stayed in the quaint town of Cambados, which is the Capital of Albariño wine. We enjoyed our hotel, Hotel Real Ribadomar, which was on the main street and very comfortable. We enjoyed dinner at A Fonte do Vino one night, feasting on traditional Galician raciones, like padrón peppers, spider crab paté, and percebes (gooseneck barnacles). We also spent half a day in Combarro, a gorgeous town that is known for having the most horreos (traditional grain houses) in Galicia. These little houses line the beach, and it’s a wonderful place to visit. We enjoyed a fantastic traditional lunch at O Bocoi. 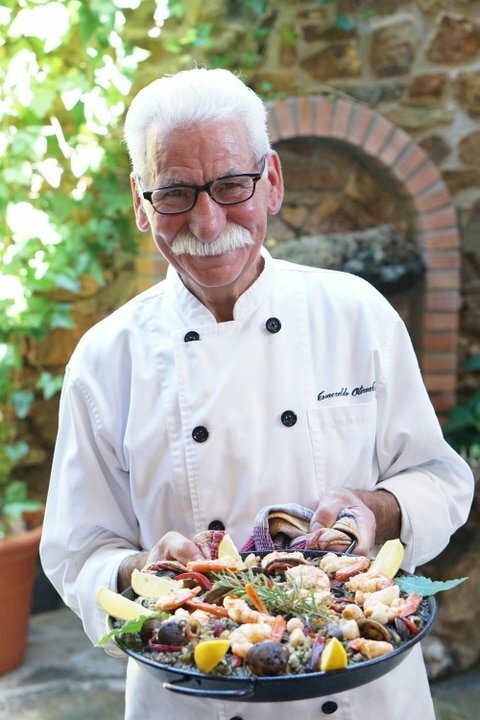 They offer a 15€ menú where each person chooses two plates from their menu and dessert– so much food! 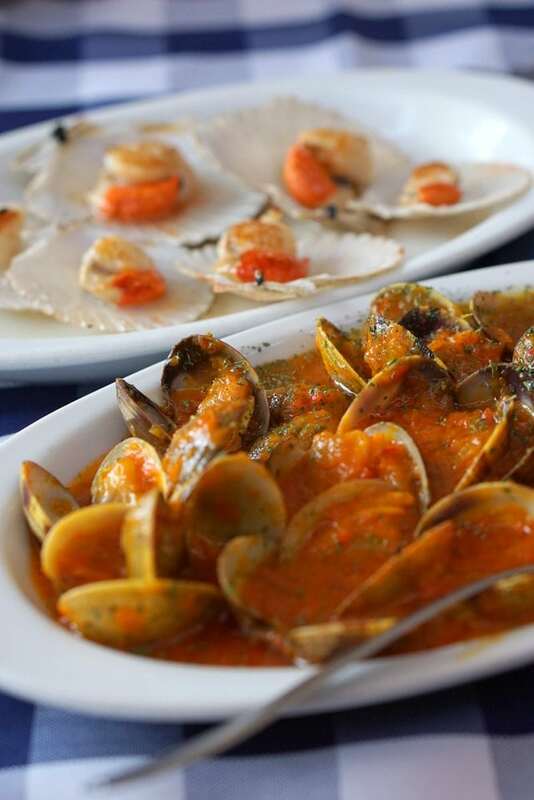 We opted for the “lighter” choices of shellfish (bay scallops (zamburiñas) and clams in marinera sauce) and two different empanadas (a corn based dough stuffed with small clams and a wheat based dough stuffed with salt cod and raisins). Dessert was homemade coffee flavored flan and filloas— local crepes stuffed with pastry cream. The views over the water were amazing. 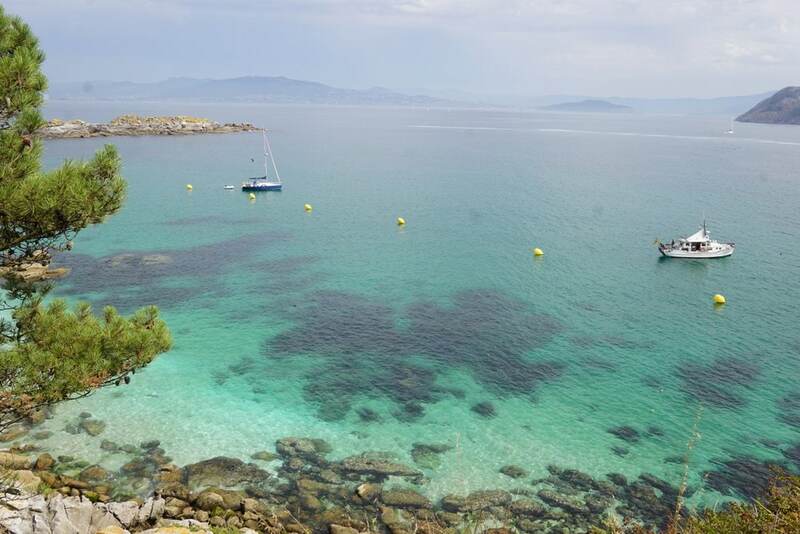 This popular resort town isn’t nearly as charming as Combarro or Cambados, but it is studded with about 24 stunning beaches (and 6 cove beaches!). 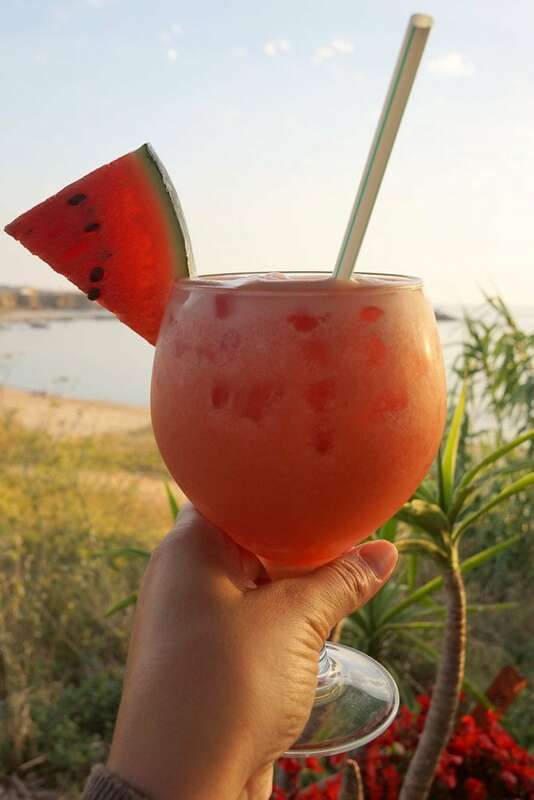 We went to La Canela Beach, a gorgeous spot with amenities like a small chiringuito (beach side bar) and umbrella rentals (perfect for us as visitors). The water was chilly, but nothing a Massachusetts girl isn’t used to! 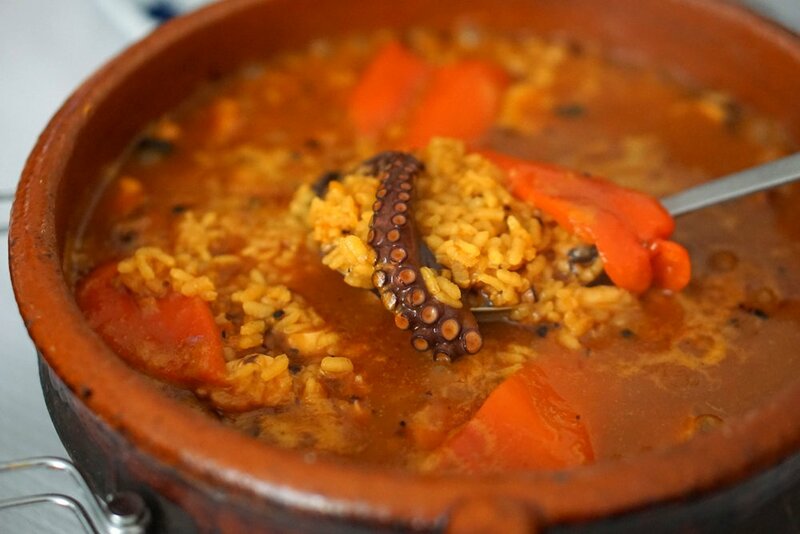 We had read rave reviews about the octopus rice (arroz con pulpo) at Meson A Costa so we had to try it. I was still dreaming about our rice at Los Pinales was hoping it was as good. 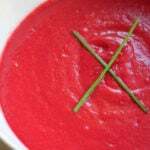 It wasn’t quite as delicious, but it was homemade and flavorful nonetheless. 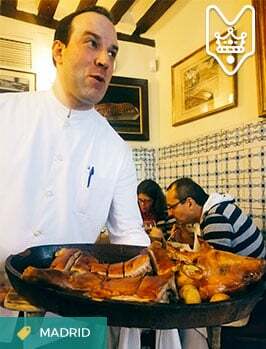 The serving was gigantic (as usual in Galicia), and despite our best efforts, we couldn’t finish it. 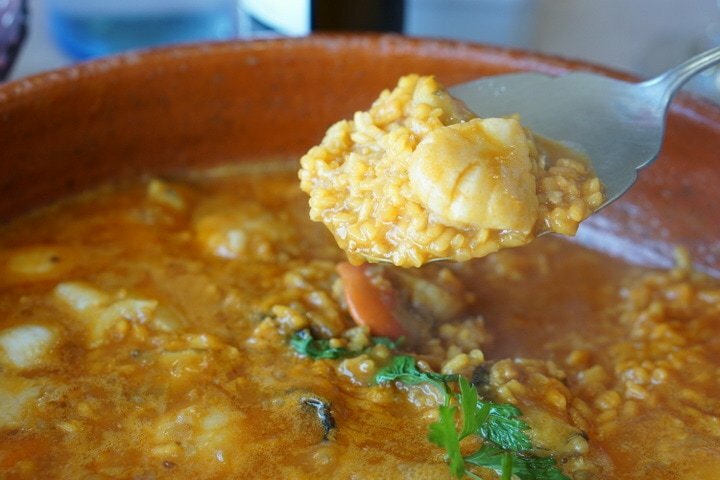 I hate leaving food behind, so remember to go hungry if you’re only two people dining out in Galicia! 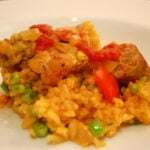 Delicious homemade arroz con pulpo! On the way back from Sanxenxo to Cambados we drove along the coast and stopped at a fantastic cocktail and fresh juices bar called, Pé Na Praia. My pineapple caipirinha was fantastic (high praise for a Spanish cocktail bar) and the views were incredible. 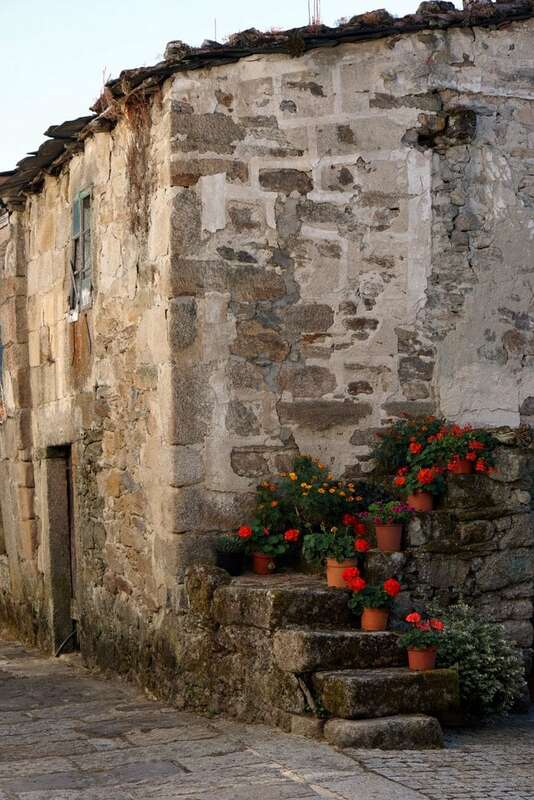 From Cambados, Santiago is only about a 45 minute drive away. We dropped off the rental car here, as we decided to take the train back. 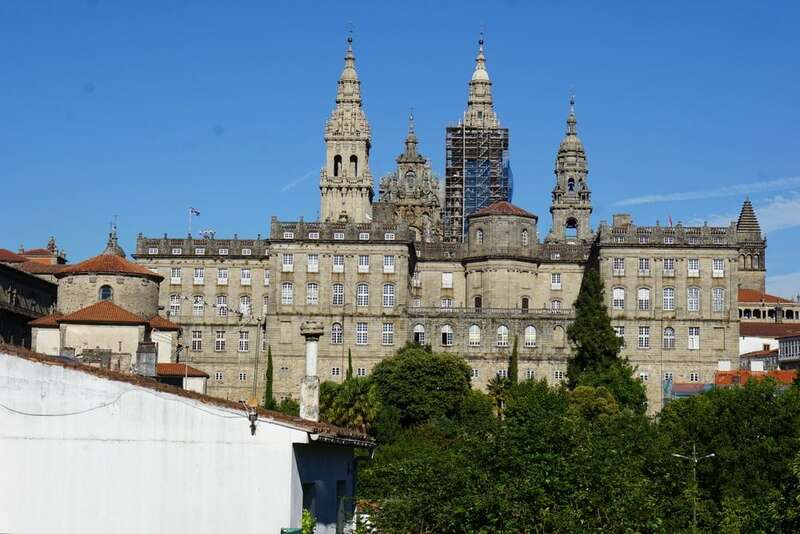 Santiago de Compostela is definitely one of my favorite Spanish cities– gorgeous, small, and home to stunning food. Of course it did help that we had sunny skies and warm days (it rains 200+ days of the year), but I fell in love quickly. We stayed at the charming Hotel Pombal, where we had a ground floor room with a huge terrace overlooking the famous cathedral. The location was perfect, and my only complaint is that we could hear the phones from reception, which meant sleeping with earplugs was a must. But other than that, it was great. The view from our hotel terrace! Other Santiago hotel recommendations: Someday I’d love to stay at the exclusive Parador or the picturesque San Francisco Hotel or highly reviewed Altair Hotel— all look incredible! 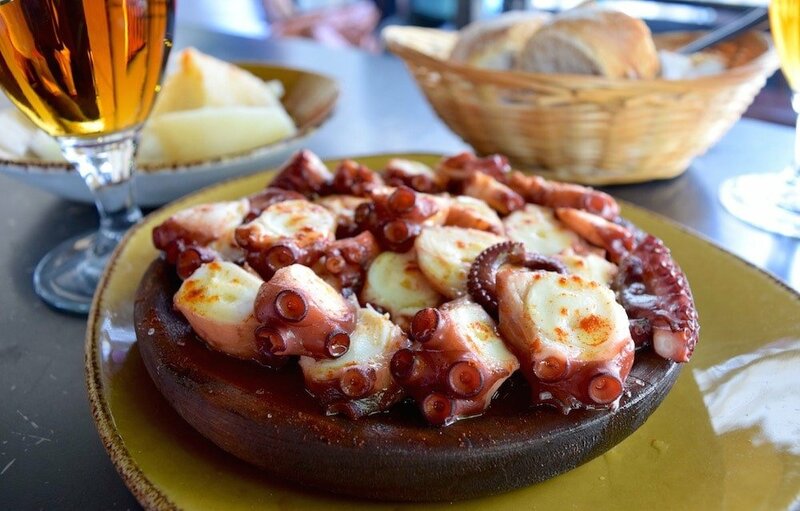 See more on our Devour Galicia food blog! 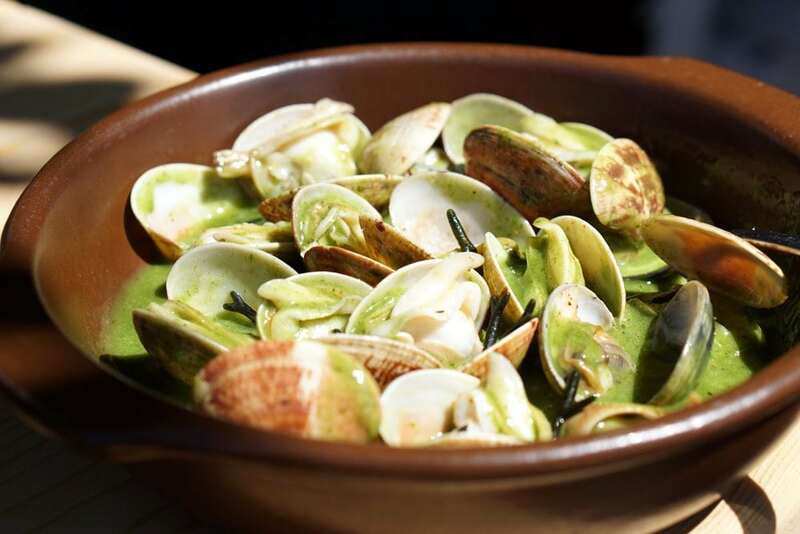 A Moa’s excellent clams in green sauce. I also highly recommend visiting the Museum of the Galician People. There isn’t much that is translated into English (the exhibits are in Galician with Spanish translations printed on laminated cards), but you can still get a fantastic idea of how this region lived until only recently. Exhibits include the musical instruments of the region (like the gaita– similar to bagpipes), crafts (basket weaving, making linen), and how the home itself was structured with life-size models. It’s well worth the 3€ admission fee. And, of course, a walking tour is the best way to see the city. We hired a local guide to show us around, which allowed us to learn some of the history behind this incredible city that so many people walk hundreds of kilometers to see! Polpo (octopus!) at the Santiago market. We took the train back to Madrid for a variety of reasons (quicker– as on our own we would have made multiple stops or most likely spent the night somewhere, more relaxing, and we could work on the train which made coming back on a Monday more do-able for us). 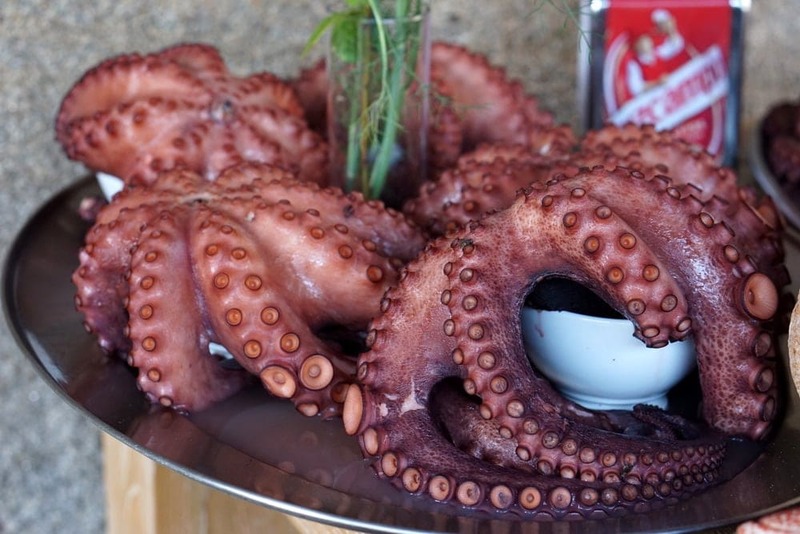 Our Galicia road trip was incredible, filled with amazing food, wine, and people. I can’t wait to visit this region again soon, and continue to discover Spain’s lesser-known corners! I hope to post more details about our Galicia road trip soon! Have you been? What were your favorite places?